Before starting a career in naturopathic medicine, you may be wondering “Is naturopathic medicine safe?” The following article describes the education, insurance rates, and studies on naturopathic medicine that answers that question. Every licensed naturopathic doctor had to go through a rigorous four year science-based medical education at one of the 7 accredited naturopathic medical schools. The first two years are composed of mainly didactic (classroom) training; the last two years are split between didactic and clinical training. During clinical training, naturopathic medical students see real patients while being supervised by a licensed naturopathic doctor. As their clinical training progresses they are given progressively more responsibilities. Before graduating, students must demonstrate clinical competency by being supervised during patient visits and performing physical exams. This is more training then a nurse practitioner or physician’s assistant and equivalent to the curriculum of a medical doctor1. In order to be licensed, naturopathic medical students must pass two sets of board exams, one set before starting in the clinic and another after graduation. There is no other standards-based profession that bridges the gap between conventional and complementary care with this level of training. Producing competent, well-trained clinicians is how naturopathic medicine maintains its excellent safety record. This is reflected both in the insurance rates for naturopathic doctors, and studies on naturopathic care. Car insurance is a good place to start this discussion. A low risk driver pays lower insurance rates than a high risk driver. A number of factors are used to determine rates, but previous accident history is one of the main factors. Insurance companies are more likely to have to pay out for a high risk driver, so they have to charge more. A similar formula is applied to medical malpractice insurance. If a profession or specialty historically has a greater likelihood of having a malpractice judgement against them, their malpractice insurance will cost more. The publicly available medical malpractice insurance rate for naturopathic doctors from NCMIC (as of January 2017) was $3,802 dollars. Their rate for medical doctors was $18,646. NCMIC is an insurance company for medical professionals. It is riskier to insure a medical doctor then a naturopathic doctor, on a dollar to dollar basis, by almost five times. Additionally, a search of the National Practitioner Data Bank which compiles lists of malpractice reports against medical professionals, showed that between 1990 and 2010 there were 16 malpractice reports against naturopathic doctors. That represents less than half of 1 percent of the number of malpractice reports against medical doctors. Many studies have shown that naturopathic medicine is safe2,3,4. 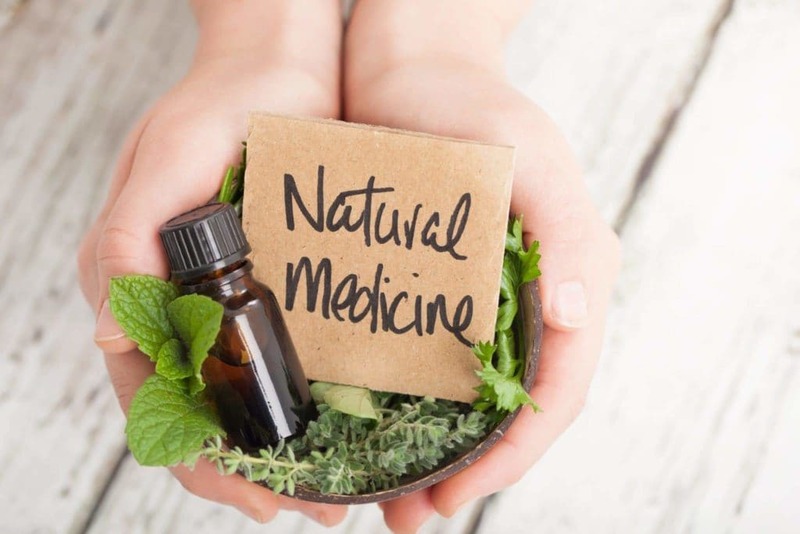 Studies have also shown that not only is naturopathic medicine safe, but by adding naturopathic care to conventional care patients have better overall health outcomes. Dugald Seely, ND did a comprehensive study of patients at an increased risk for heart attacks and strokes. At the end of the one year study, the group receiving naturopathic care in addition to conventional care had a large reduction in risk of dying from a heart attack or stroke then the group receiving only conventional care. The largest side effect from the naturopathic care group was three people who reported having “fish burps” from the fish oil supplement they were taking5. Naturopathic medicine is safe. This starts at the comprehensive training and licensing requirements of naturopathic doctors and is reflected in their low insurance rates, medical malpractice claims, and study outcomes. The AANMC would like to thank Dr. Matthew Strickland for his excellent work in creating this article. Dr. Matthew Strickland is the founder of Southeastern Integrative Health and Wellness, an integrative health clinic that specializes in science-based holistic medicine. As a naturopathic doctor, Dr. Strickland is a leader in integrative and functional medicine. Szczurko O, Cooley K, Busse JW, et al. Naturopathic care for chronic low back pain: a randomized trial. PLoS One. 2007 Sep 19;2(9):e919. Cooley K, Szczurko O, Perri D, et al. Naturopathic care for anxiety: a randomized controlled trial. Naturopathic care for anxiety: a randomized controlled trial. PLoS One. 2009 Aug 31;4(8):e6628.